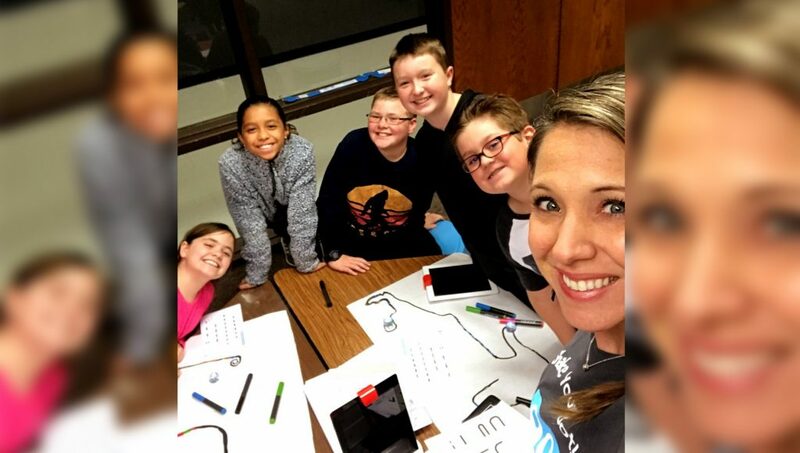 North Ridge Elementary hosted the first Tinker Tuesday in the library this week, where students in third through fifth grade had the opportunity to work with media specialist, Bridgett Turner, on coding with either Ozobots or Osmos. Students trained the robots to follow patterns on surfaces that they rolled over and the robots identified lines, colors, and codes on both digital surfaces, such as an iPad, and physical surfaces, such as paper. The students’ reaction has been pure excitement and they have asked a lot of questions and seem eager for what next Tuesday will bring. The activity started with a focus on basic programming, but will venture into other STEM-related activities as the year progresses.